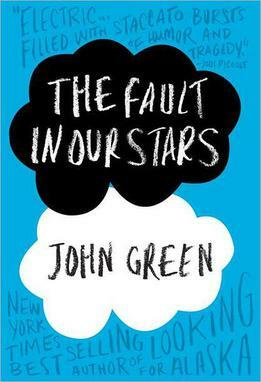 The Fault in Our Stars is not a cancer book. What it is is a book about teenagers who happen to have cancer. It is a love story. It is a story about coming to terms with life, with history, with the universe. It is a story of family and reconciliation and love. It is a story of pain and disability and the truth of suffering in life. It presents the bad along with the good, and I think that is what, most of all, makes this book real. I don’t mean real in the sense that the story is based on a true event, though John Green did find some inspiration in the life of Nerdfighter Esther Earl. It is real in the sense that Green understands teenagers, how they speak, what they think about, what they fear. Most importantly, he recognizes the very real feelings and struggles teenagers face. He gives them voice, and presents these struggles in a touching, hilarious, and, at times, dryly sarcastic way. And the writing itself is pure poetry. I don’t think I can say I have come across a more beautifully crafted, thought provoking young adult novel in recent years. Here is an except that illustrates the incredible word craft that fills this novel. If this doesn’t convince you to read it, nothing will. When you pick up this book be prepared for depth, for emotion, for reality. You will not regret it.